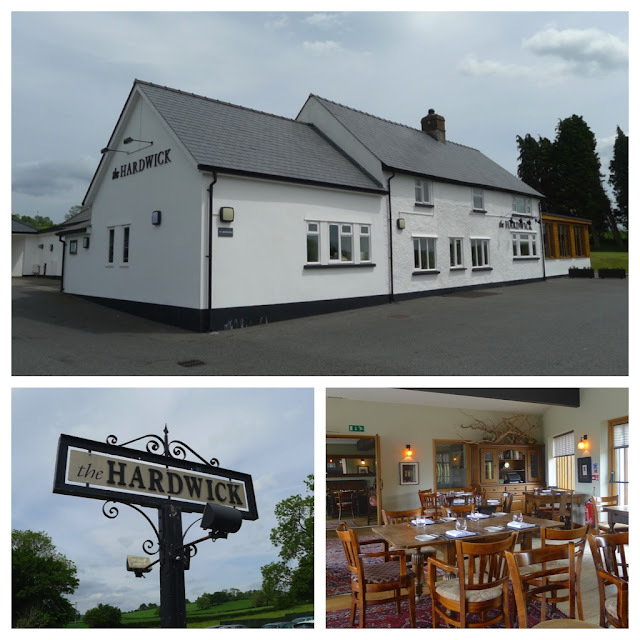 The Hardwick is a dining pub in Abergavenny from acclaimed chef Stephen Terry. Having worked alongside Marco Pierre White in his wild Harvey’s heyday and at Le Gavroche when it had 3 Michelin stars, Stephen Terry is a chef with some pedigree – with walls adorned with press cuttings and details of various accolades, he’s certainly not shy to tell you about this. All this helps to make my experience even more disappointing. For my liking, I found the salmon woefully overcooked and the breaded pork belly distressingly dry in the middle – inexcusable when you’re talking about the two main components on both a starter and a main. Service was poor too in that I’d ordered the pork belly and salmon dishes from the a la carte menu but was served the ‘pork meatloaf’ dish from the set menu – a small dish, I was a couple of bites in when I realised it was not what I had ordered and by the time I was able to alert a member of staff of double check I had nearly finished it. When eventually I managed to alert and ask a member of staff, the only response I got was to ask if I still wanted the pork belly? Seeing as it’s what I had ordered, funnily enough I did. Needless to say, I was charged for both. Not all was terrible however, the bread and oil and pickled elements on the pork belly were great, as were the accompaniments with the salmon The chocolaty dessert was good too; despite the popping candy. 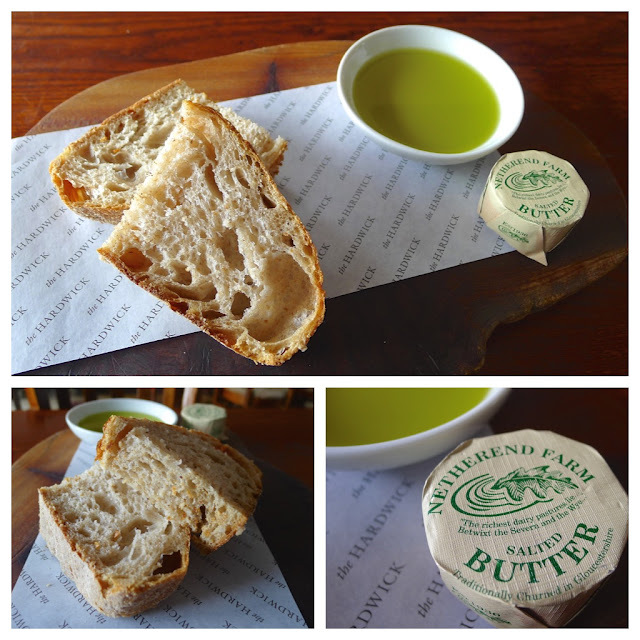 Alex Gooch’s Sourdough (Voted No.1 at The World Bread Awards 2014) with Netherend Farm salted butter and Planeta Sicilian extra virgin olive oil. 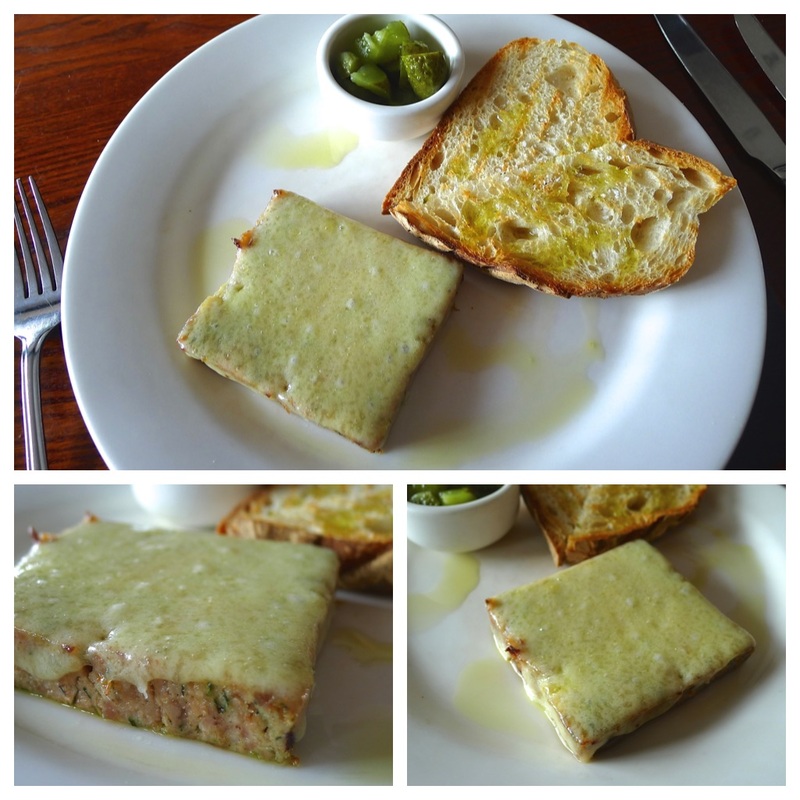 Hot pedigree Welsh pork meatloaf with grilled Swiss cheese, toast & pickles. Crispy bread crumbed Middle White pork belly & black pudding with roast & pickled fennel, apple & mustard sauce. 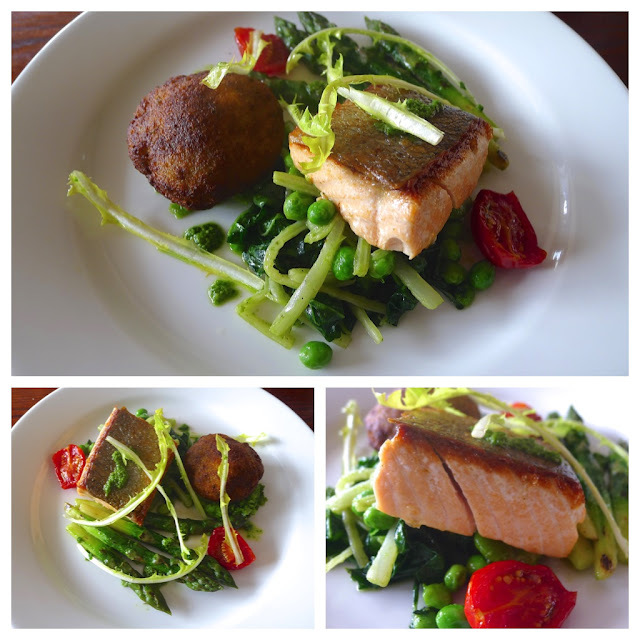 Roast Var Salmon with Dauphine potatoes, smashed peas, wilted greens, Wye Valley asparagus and wild garlic pesto. 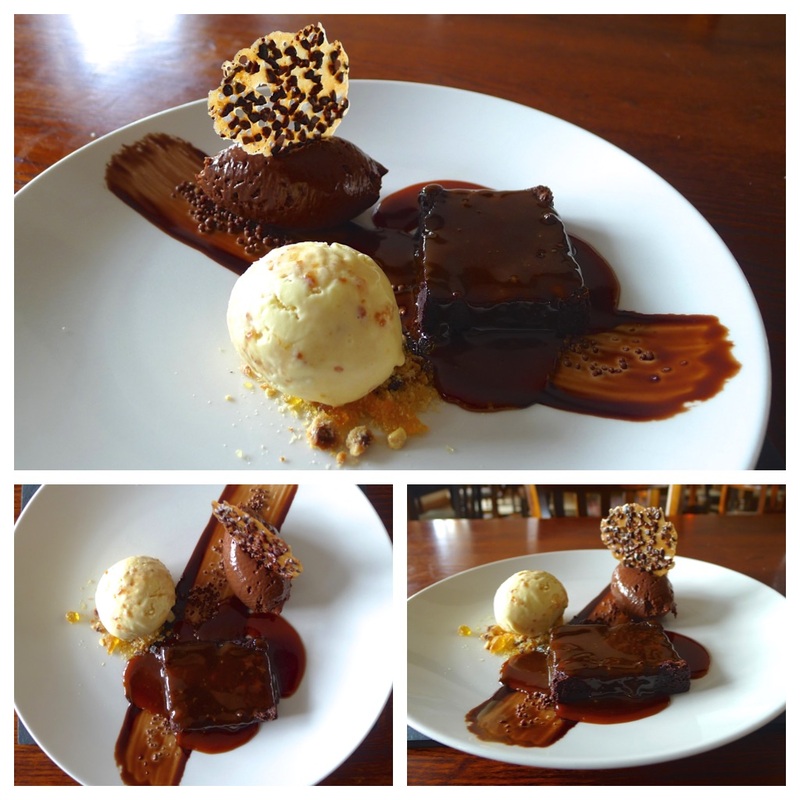 Valrhona chocolate brownie & mousse with Seville orange marmalade ice cream, chocolate popping candy, coco nib biscuit & Halen Mon sea salted caramel sauce. With The Walnut Tree just up the road, there’s no way I’d return. The Walnut Tree in Abergavenny is a Michelin starred restaurant from chef / proprietor Shaun Hill. 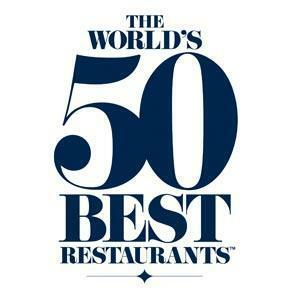 A chef who, in his heyday, won Michelin stars at both Gidleigh Park and at The Merchant House – a much missed restaurant that put Ludlow on the International ‘foodie’ map when, under Shaun, it was ranked amongst “The World’s 50 Best Restaurants” for three consecutive years. 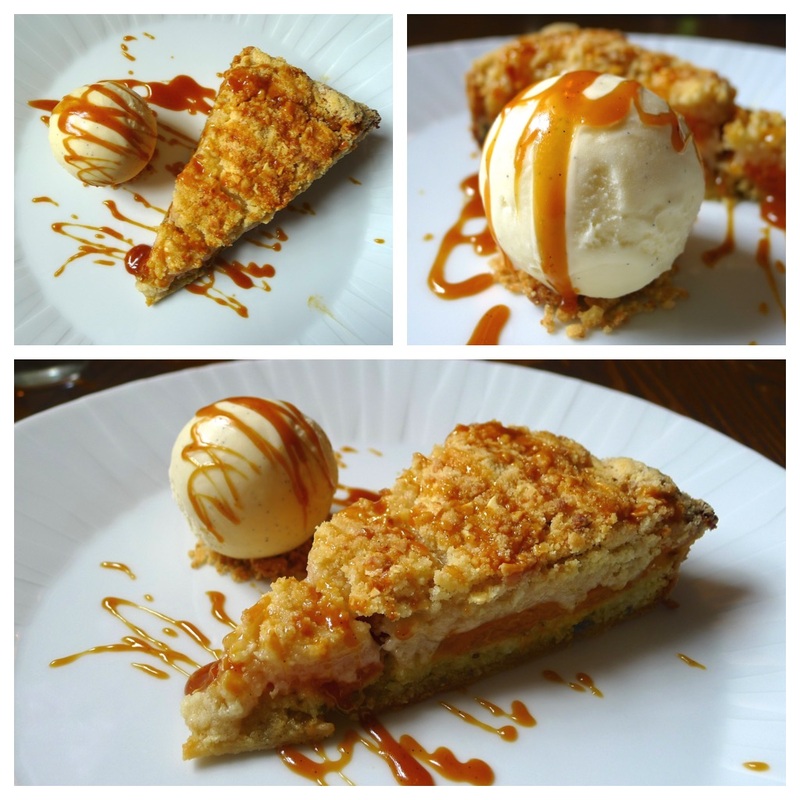 This was all the more impressive when you consider that he alone was the sole member of the kitchen brigade! 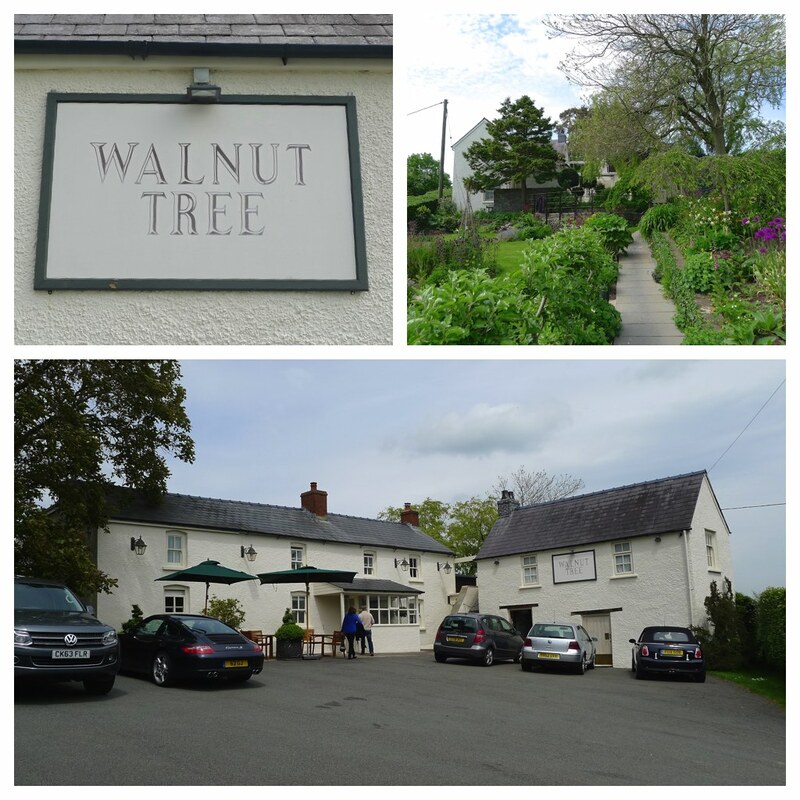 When Shaun took over at The Walnut Tree in 2008, he quickly regained the Michelin, returning the iconic restaurant to its former glory, previously attained under legendary chef, Franco Taruschio (who had sold it in 2001). With a career dating back to England’s World Cup winning year of 1966 when he begun his working for the legendary Robert Carrier, Shaun Hill is undoubtedly one of Britain’s finest chefs. Visiting at lunchtime, I ordered from the 3 course set menu but supplemented this with an additional main course (sweetbreads) from the a la carte. 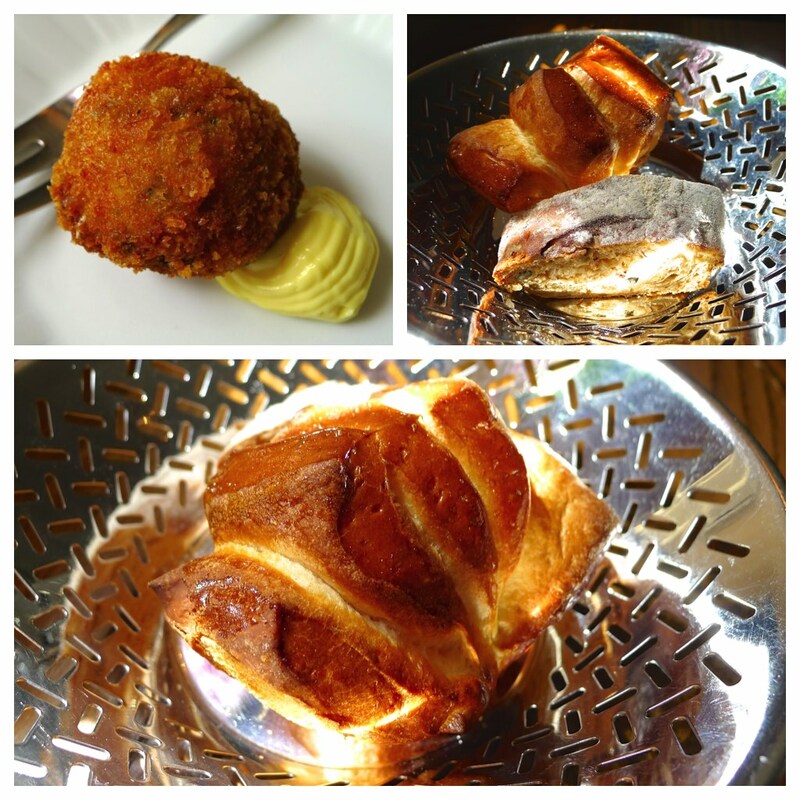 Breads (buttermilk and a mixed seed brown) as well as an amuse in the shape of a Smoked haddock arancini with curried mayonnaise were also provided. 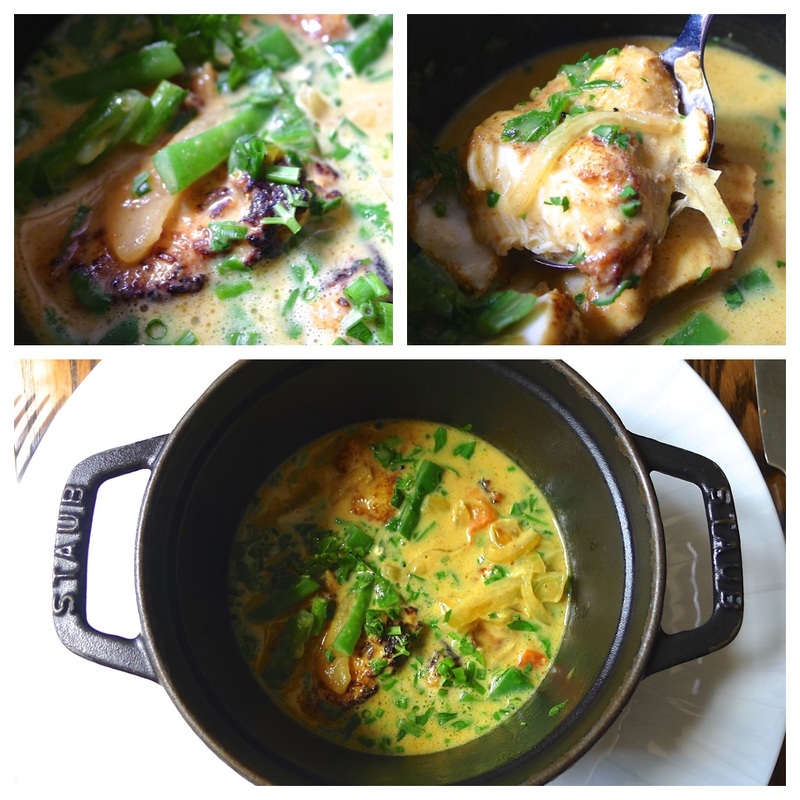 Kerala fish curry – in the morning, when I set of for Wales, I didn’t think I’d be enjoying one of the best curries I’ve ever eaten but that’s certainly what I got. Made with a generous serving of delightfully cooked firm meaty chunks red gurnard, the spicing was spot on. 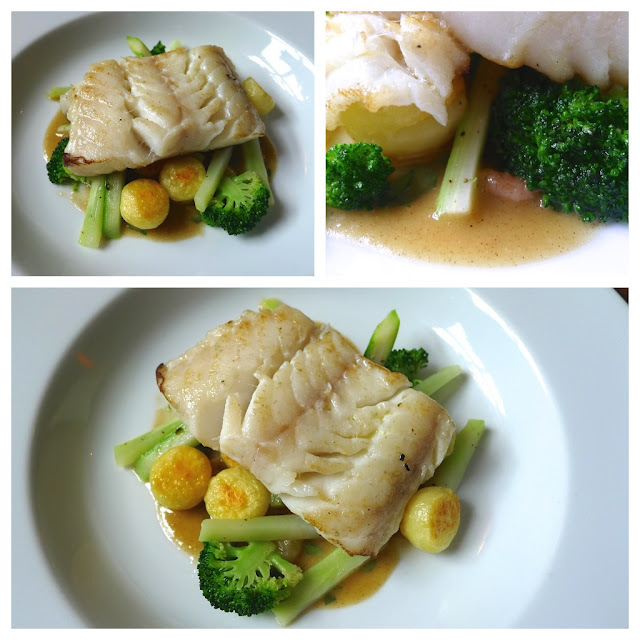 Cod with shrimps and brown butter sauce – a delightful classical bit of cooking in the shape of a wonderfully rich brown butter sauce, cut with acidity from grapefruits. Mini fondant potatoes, broccoli and asparagus completed a lovely dish. 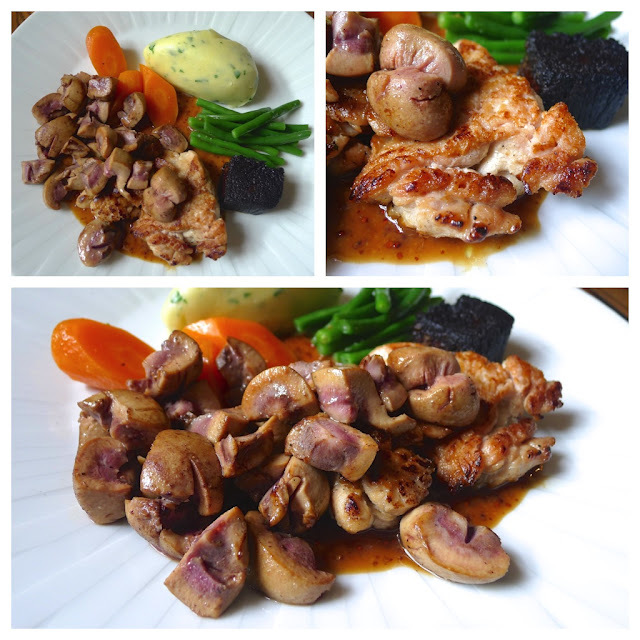 Veal sweetbreads and kidneys with mustard sauce – this was a truly special dish. 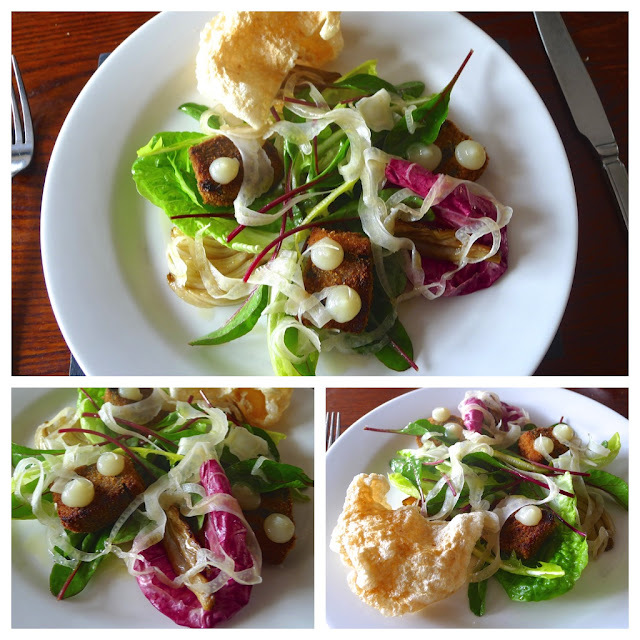 In my opinion, veal sweetbreads and kidneys are far superior to lamb’s, which are more commonly served; especially when prepared in the hands of a great chef like Shaun Hill. The mustard sauce made with veal stock was a thing of beauty; as was the mash and cube of blood cake. Apricot streusel tart with vanilla ice cream – a proper dessert, done well. 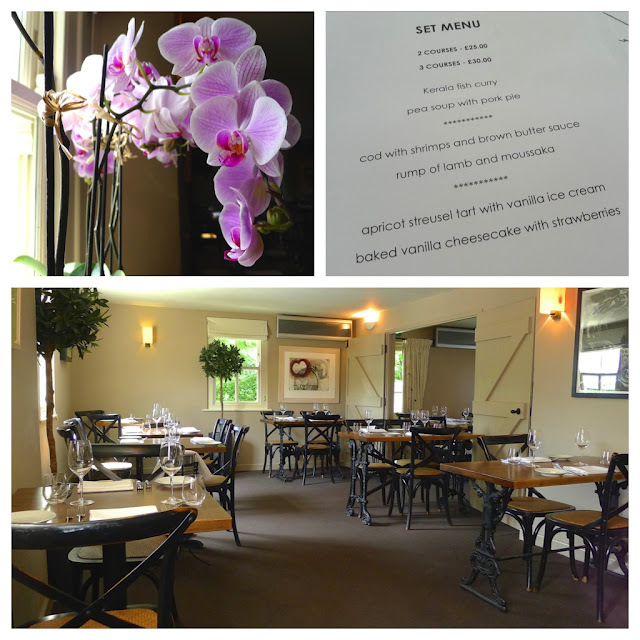 If you’ve not yet had the pleasure of eating Shaun Hill’s food, you really should try and visit The Walnut Tree.